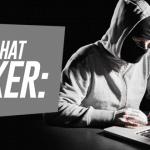 Hackers are often divided into three metaphorical categories: white hat, grey hat, or black hat. As many fictional stories have long suggested, white is a sign of someone who chooses to follow the rules. White hat hackers are those who don’t seek to use their skills for bad, but rather follow the law and the unwritten code of ethics that exists in the computer world. White hat hackers could hack their way into a system to test that security system, either for themselves or for an employer. Clients often hire skilled hackers to test their network’s vulnerability. Once a white hat hacker has found a hole that allows him or her to access a company’s data, the hacker explains to the company how he/she was able to gain access. This allows the company to patch the hole and prevent bad hackers from getting in. White hat hackers might also be hired by a security company that markets and produces security software. 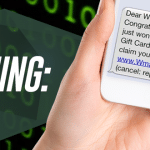 Sometimes they receive attribution for their help; but these days, white hat hackers also stand to make significant amounts of money by selling their skills to companies. A white hat hacker is someone who follows the law and the unwritten code of ethics that exists in the computer world.